Figure 1: SBS-900-4 uses an antenna combination including a 3.9 meter S-band antenna (lower beacon) and a 5.5 meter X-band antenna (upper beacon). 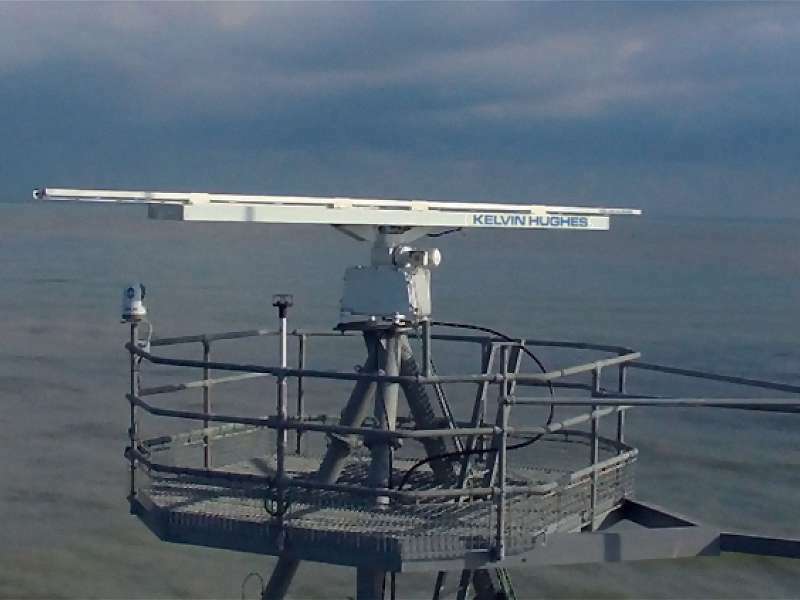 The SBS-900 (Shore Based Sensor) is an operating in X-Band mast mounted and environmentally protected coastal surveillance radar system. SBS-900-4, dual band radar by using an additional S-Band-transceiver. 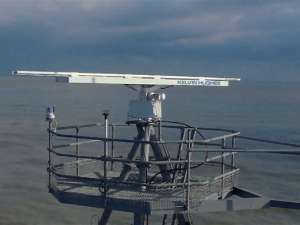 The X-band antenna is mounted on top of the S-band antenna, 180 degrees from each other. The co-located antennas simultaneously transmit signals at both frequency bands.